Multi-fit Fan Motors There are 7 products. 5W universal, multi-fit fan motors are ideal for replacement in nearly all industrial and commercial refrigeration and ventilation equipment. 7W universal, multi-fit fan motors are ideal for replacement in nearly all industrial and commercial refrigeration and ventilation equipment. 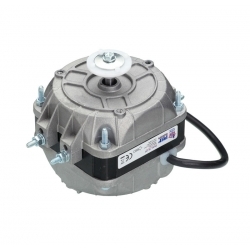 10W universal, multi-fit fan motors are ideal for replacement in nearly all industrial and commercial refrigeration and ventilation equipment. 16W universal, multi-fit fan motors are ideal for replacement in nearly all industrial and commercial refrigeration and ventilation equipment. 18W universal, multi-fit fan motors are ideal for replacement in nearly all industrial and commercial refrigeration and ventilation equipment. 25W universal, multi-fit fan motors are ideal for replacement in nearly all industrial and commercial refrigeration and ventilation equipment. 34W universal, multi-fit fan motors are ideal for replacement in nearly all industrial and commercial refrigeration and ventilation equipment.